The idea of Tanuki isn’t as new as their first pair of jeans. About seven years ago, two of their current denim makers were talking about the future of the industry in Japan because they were worried it would eventually disappear. 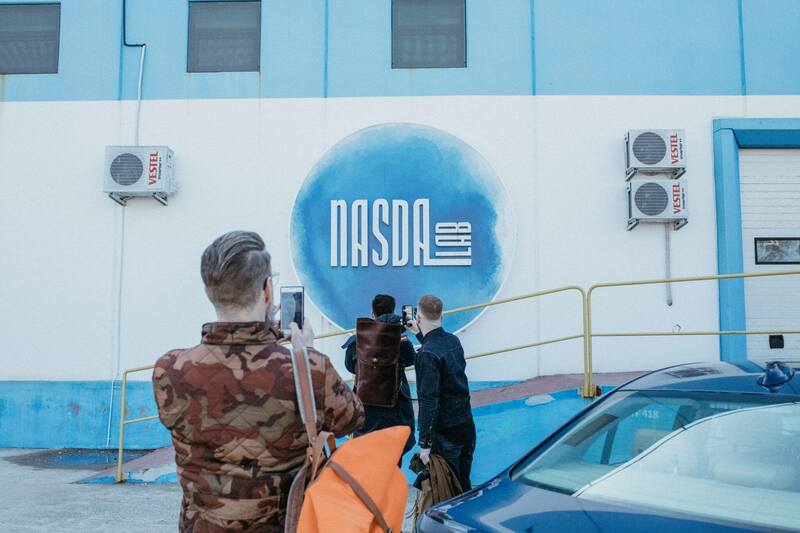 They thought that to survive, the industry needed more innovation and the application of traditional denim making methods to modern fashion demands, for consumers in- and outside Japan. In this first conversation, those two denim makers said they needed “Tanuki,” a traditional Yokai (a creature mentioned in Japanese folklore) that brings good luck and prosperity and is a symbol of transformation. Out of this conversation, seven years ago, came forth the idea for Tanuki. Obviously, this ‘revolution’ within a very traditional industry had to be done in small steps, and began with testing minor changes to already successful fabrics and cuts from the past. 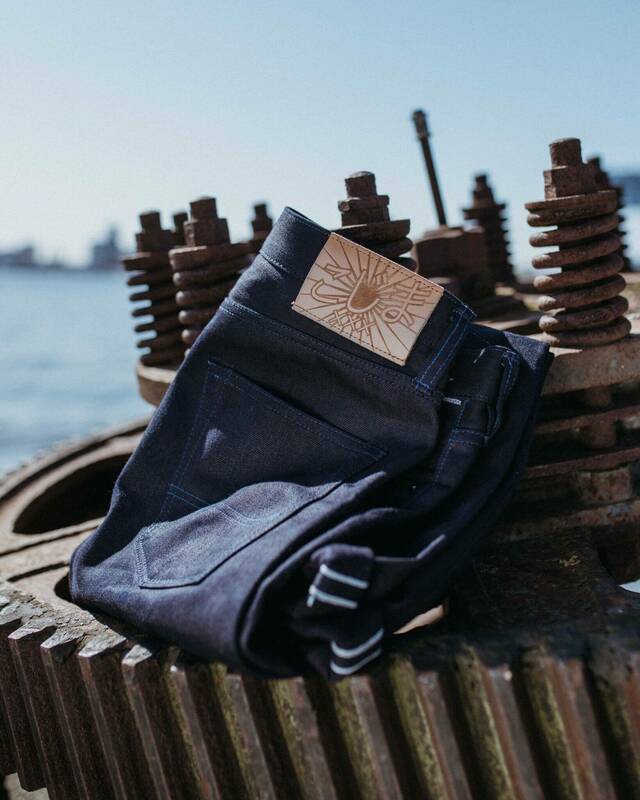 The first pair of Tanuki jeans was realized in 2015 when the team decided to revive a Retro fabric and use an aggressive tapered cut, which they created together with a European denim designer. 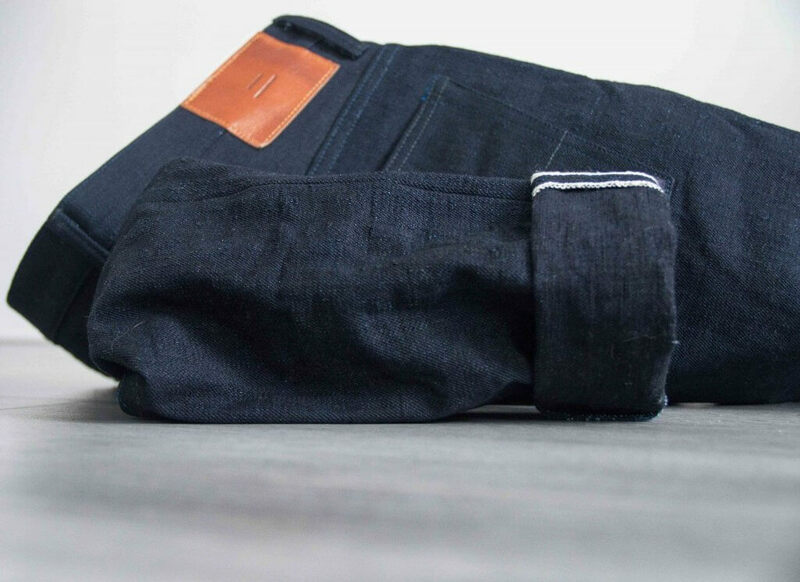 This first cut influenced the Tanuki denim makers, by showing them that people want to wear Japanese selvedge denim in more casual, modern styles, like streetwear-influenced outfits, for example. The jeans also included minimalistic details that were in contrast to the traditional Americana style that denim makers were used to. From there, Tanuki grew to a highly sought-after brand, offering exciting fabrics in multiple modern fits. 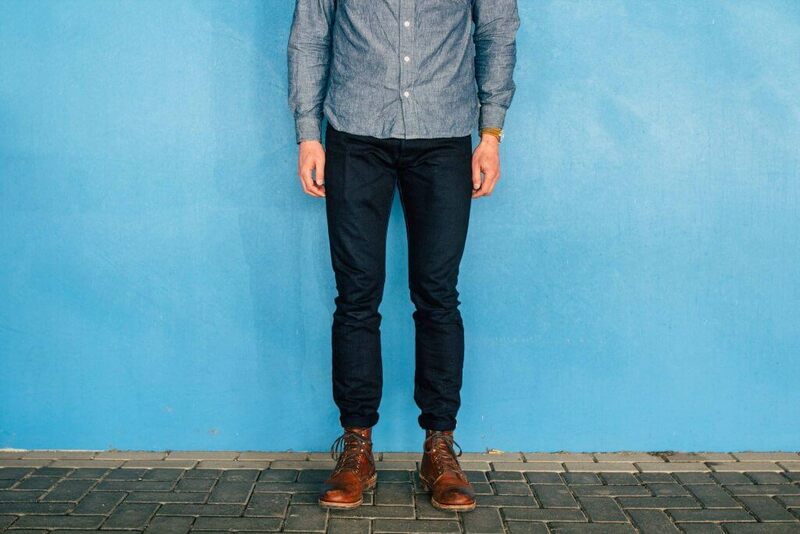 Tanuki’s Indigo x Indigo Tapered fit is a slim fit, providing room in the top block and thighs. It is a modern silhouette and tapers down aggressively from the thighs all the way to the hem. Due to the roomy top block, this model will fit comfortably from the first moment of wear without causing any problem with sitting our squatting (do people actually squat with a pair of jeans on?). The aggressive taper is leading to a small leg opening with no pin roll needed. Combining this fit with a pair of boots or sneakers will look incredible! Tanuki’s IDT is solidly constructed, and the stitch work seems to be done perfectly. 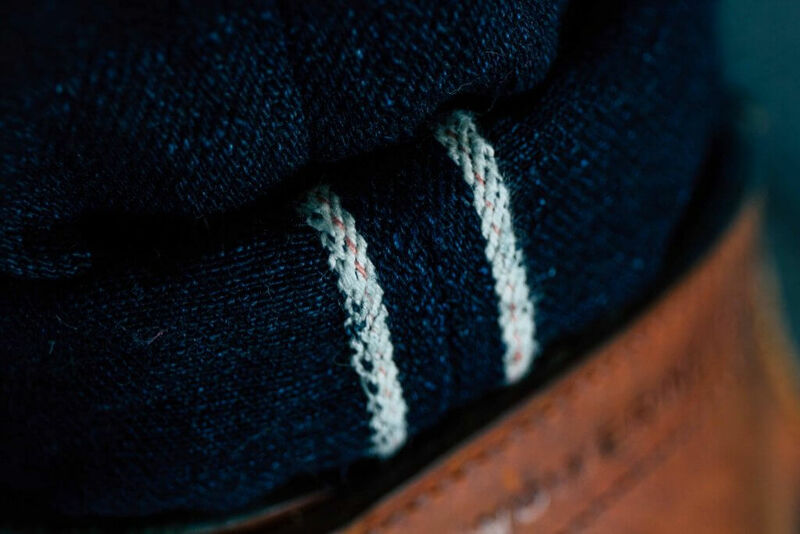 The inseam is lock stitched on the inside, and single-stitched with a bright blue thread on the outside. Most of the other stitches are dark blue or black, resulting in a clean looking pair of jeans before it starts fading. 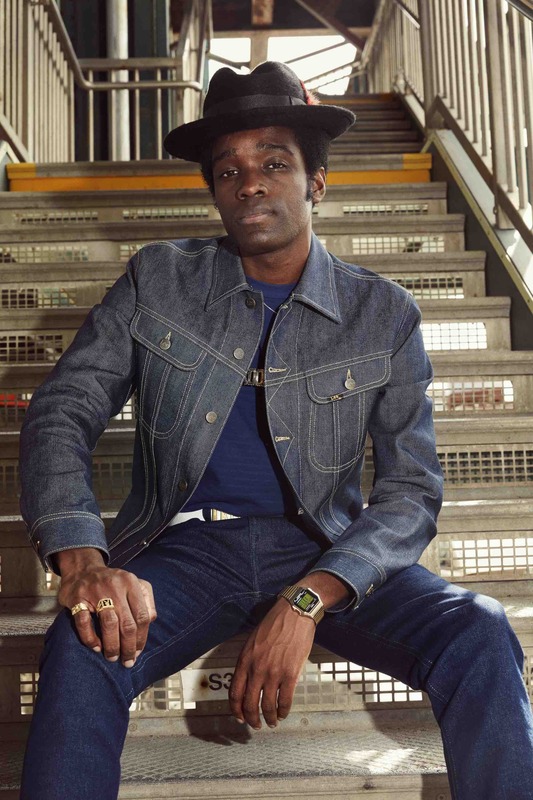 The jeans feature unbranded buttons and branded rivets displaying: ‘Tanuki inc..’ Furthermore, the back pockets, strengthened with hidden rivets, are partly lined to prevent the pockets from tearing apart by, for example, a wallet. All in all, the first impression of Tanuki’s IDT is impressive. The construction seems solid and durable and made for a long, intensive journey. Although the fabrics seem to fade very fast, the construction will last a lifetime. 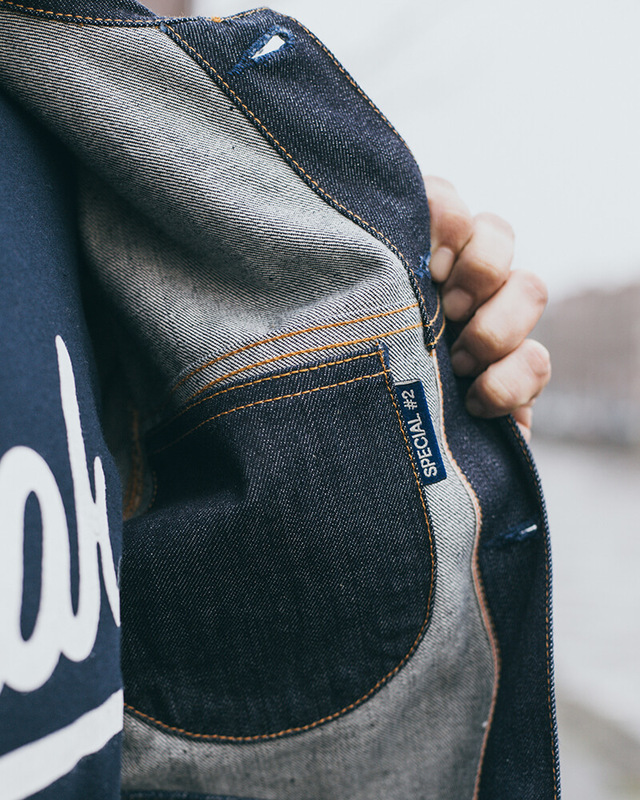 The inside of the right back pocket features Tanuki’s logo that also can be found on the leather patch. The lines in their logo (二) represent the Japanese character for number two, in Japanese ‘Ni.’ As we have already mentioned, this symbol stands for honoring Japanese traditions (the white), while seeking for change and improvement in the future (the red). The leather patch is made of vegetable tanned deerskin leather and comes in a thickness of around 1 mm. The patch is hand stained and features Tanuki’s logo in the center. Over time, the leather patch will beautifully evolve alongside the fabric. While most of the threads have the same dark color as the fabric, Tanuki chose to use a bright blue thread for stitching the inseam, coin pocket, and bar tags on the back pockets. Although it depends on taste whether you like it or not, it is a recognizable Tanuki signature for sure! Brand new, the bright blue stitches pop out of dark blue fabric, but once it starts fading, the threads will be less noticeable and blend in with the rest of the jeans. The fabric is what stands out immediately at first sight. Honestly, this fabric is unique and promises an extraordinary and fast fading process. The fabric is unsanforized, which means that it is expected to shrink after being washed for the first time. It is made of 100% cotton, it is cultivated in Texas, and it comes in a weight of 15 oz. It features a white/ pink selvedge ID, which can be found on the outseam, of course, and on the inside of the coin pocket. The warp, as well as the weft, are indigo dyed, resulting in an incredible deep blue shade. The irregular and the slubby texture feels like sandpaper at first, but once you start wearing the jeans, it feels comfortable immediately. The comfort of this rough fabric is caused by the extra low tension weave of the fabric, which also makes this heavy fabric feel pretty light. Due to the extra low-tension weave, the fabric feels light and breathable, which is a pleasant characteristic, especially on hot summer days. The mills weaving Tanuki fabrics differ. The people involved in Tanuki are working at various mills in Japan, including some micro-mills. They don’t depend on just one supplier, but different team members are creating or modifying fabrics in different mills. At this moment, Tanuki is sourcing their fabrics from five different mills operating in several places in Japan. Every new fabric starts by selecting the types of cotton carefully. First, they start experimenting with different staple lengths and dyeing techniques, before they go through a trial and error process to find the right settings of the shuttle looms needed to create fabrics with the desired character. This process is very time-consuming, and one of the reasons why Tanuki isn’t producing a lot of stock products. Regarding quantities, Tanuki has its limitations, because the denim makers wish to keep the production highly controlled. But, looking at the quality of the fabric, this limitation is what probably makes it even more sought-after. Tanuki’s IDT is made of an unsanforized fabric, meaning that it should be soaked before wearing it. Skipping the initial soak may result in damaging the fabric, and the trouble of not fitting, and misplaced fades once you’ll wash it for the first time. During this first soak the jeans will shrink, so it is important to buy an unsanforized pair of jeans oversized. The extra space will allow the fabric to shrink naturally and mold perfectly to your legs when you start wearing it, and after its first wash still maintain a wearable size. 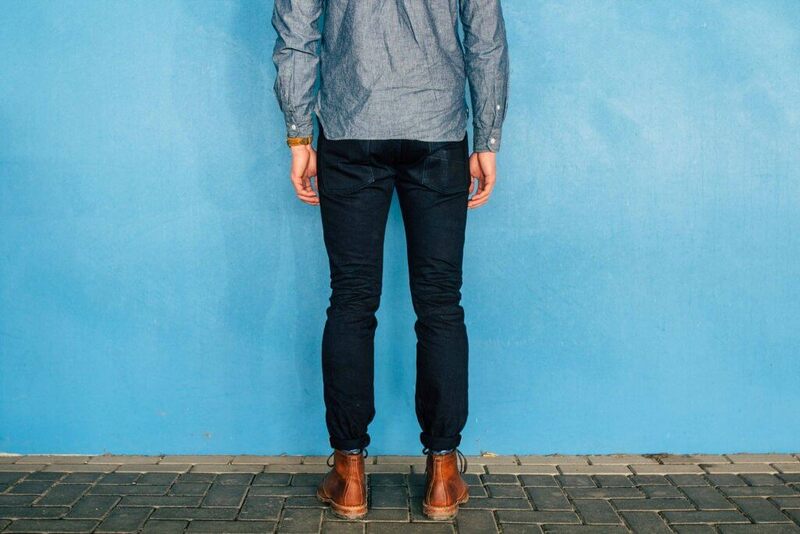 Read more about unsanforized denim here and check our Soak Guide. 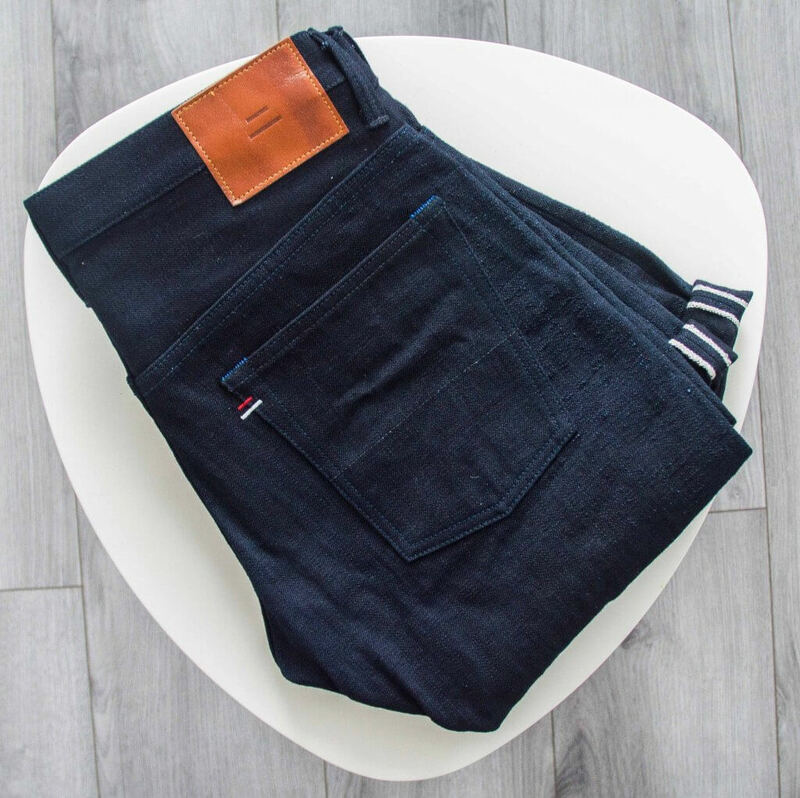 After the initial soak, we recommend you to wear your jeans as long as possible before being washed for the first time to create deep contrasting fades. Washing your jeans earlier will create a clear even blue tone, which might be beautiful as well. When the washing cannot wait any longer, we advise a hand wash to damage to the fabric as little as possible. We do not encourage not washing the jeans at all. Washing it every once in a while will help recover the fibers, giving your pair of jeans a longer lifespan. One final note, Tanuki’s IDT is untreated and dyed in indigo so expect it to bleed some indigo. Be careful with rubbing against furniture or other clothing articles, especially when the jeans caught some rain. Tanuki is founded by a group of experienced Japanese artisans, working at several mills in Japan. Their experience in making denim is reflected in the high level of construction and the outstanding fabric. Tanuki’s IDT is the ultimate combination of authentic Japanese craftsmanship and contemporary design! The fit, like we already described above, provides enough room in the top block, making it comfortable from the first day of wear. From the thighs, it tapers down aggressively all the way down to the leg opening, providing an excellent slim cut. The fabric is, in my opinion, one of the best on the planet. It is so slubby that you can see the irregularity from a distance. After only two days of wear, there are already quite some fades visible, so we are pretty sure this pair will fade fast! Personally, this pair of jeans is undoubtedly one of the most incredible pairs in our collection. Considering the make, the details, and the fabric, we can honestly recommend this pair of jeans. Convinced? Swing by at the Stuf-f web store to get a hold of a pair for yourself!